And for those who might need a little help with the envisioning part, there’s no worries there. The 2018 Quemere Style Catalogue offers limitless opportunities to become inspired. It begins with an expansive palette of over 200 colors. From soft pastels to vibrant solids … shades of white to nostalgic old world hues … there’s something that embraces every style. And for clients who wish to color match a piece of artwork or fabric, Quemere color specialists can concoct a custom mix to fulfill those requests, too! 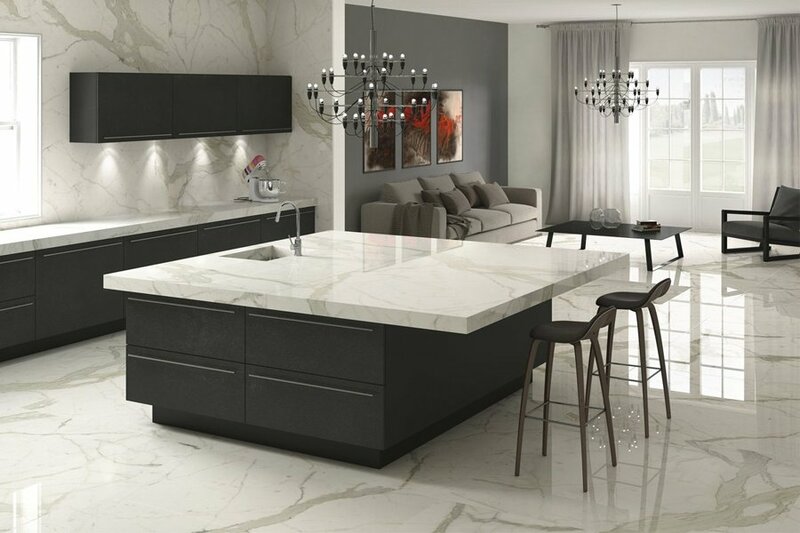 With new designs, glazes, and colors being developed on a regular basis, the Quemere tile collection has gradually become a treasure trove of distinguished luxury. Aside from the impressive assortment of colors, pieces are also available in gloss, matte, or crackled finishes. However, the real jewels within the collection come in the form of Art Masterpieces. Shells, medallions, fruit, flowers, and little buttons intricately captured on a ceramic canvas. Because each piece of Quemere tile is carved, crafted, and painted by hand, no two pieces of tile are alike. Thisis the charm of handmade ceramic tile. It’s the minor imperfections such as crazing, nicks, or blemishes that make the collection so naturally beautiful. Quemere Designs is in a class of its own. The colors and clarity represented are simply not possible to achieve in mass production. Pair that with the attention to detail and deep human connection to the design process. Well, the result is something very special. Creating artistry in tile! While individuality and personalization start in the making of the tile, these qualities are tightly woven into the overall planning and design process. Quemere’s designers are experts at seamlessly guiding clients from the conception phase all the way through to the final product. Selecting the perfect tile has never been easier. Quemere Designs is sold in Galleria Stone and Tile retail showrooms as well as in select tile shops and boutiques throughout the United States. For more details on the collection or to download the 2018 Quemere Style Catalogue, visit Quemeredesigns.com.